Queen Adele, who can do no wrong in our book, proved she's a normal human who burps -- just like the rest of us. During her show at the Glastonbury Festival in the U.K. on Saturday, the singer brought a lucky fan named Maria onstage for a selfie. The two were standing side by side and Adele took Maria's phone into her own hands to snap the pic. While doing so, the "Hello" singer let out a burp -- and made sure to tell the entire crowd. "Oh my God, I just burped!" she shouted before bursting into laughter. "I'll see you later Maria." 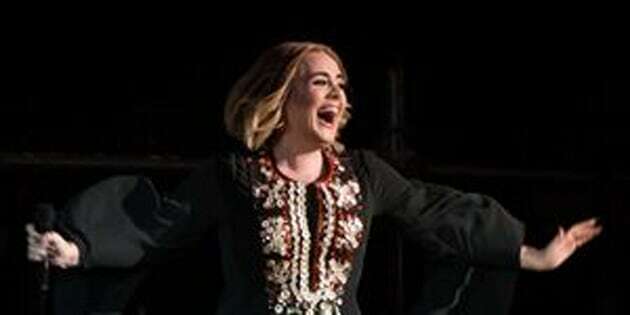 Adele then let the audience know that the "dirty burger" she had for dinner was to blame for the untimely belch, which some reportedly dubbed #Glastonburpy. But of course, Adele's burp was just a minor part of her incredible set at the music festival. At one point, the Oscar-winning singer had the entire crowd join in while she performed "Someone Like You." It really was a beautiful moment worth watching.